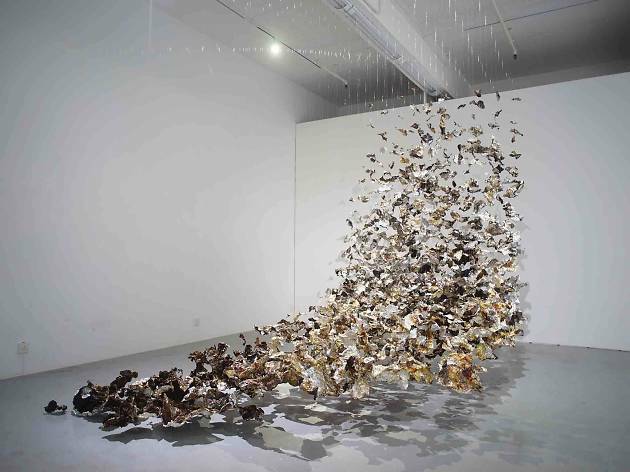 Local artist Matthew Tsang Man-fu takes a look into the slow process of decay and regeneration using wooden chairs and foil fragment installations. 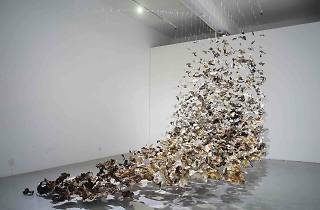 Local artist Matthew Tsang Man-fu takes a look into the slow process of decay and ruin, as well as change and regeneration in his latest artworks and installations. From a row of wooden chairs showing the progression of decay and images of black ice melting, to foil fragments displayed in a descending pattern, these large-scale works are a representation of the effects of time.